Magna CEO Don Walker: All segments posted higher margins. Canadian auto supplier Magna International Inc. said its net income rose 19 per cent to $586 million (CND $804 million) as profit margins increased in all segments. The performance prompted the company on Thursday to raise its full-year sales forecast. 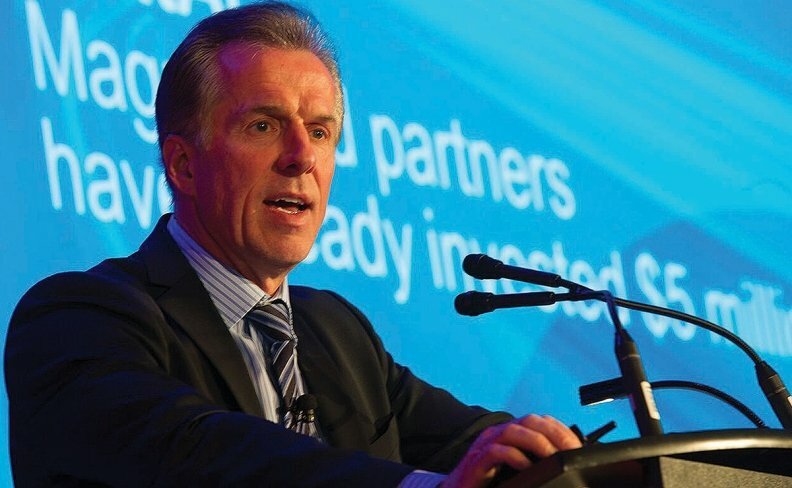 Magna said first-quarter revenue improved five per cent to a record $9.4 billion. North America sales, which make up the bulk of Magna's total sales, increased seven per cent to $5.09 billion. Magna said sales in Asia rose 10 per cent to $557 million in the quarter ended March 31, while sales in Europe climbed eight per cent to $2.46 billion. The company said it earned $1.54 per share on an adjusted basis, topping analysts' average estimate of $1.34, according to Thomson Reuters I/B/E/S. "We delivered another very strong quarter, with continued production sales growth above vehicle production, all segments posting higher margins, and all-time record earnings per share," CEO Don Walker said in a statement. "Overall, the first quarter was a great start to the year for the company and our shareholders." In its detailed financial disclosures, the company said its gross margin as a percentage of sales increased to 15.5 per cent from 14.4 per cent during the same quarter last year. Magna raised its full-year 2017 sales forecast to a range of $36.6 billion to $38.3 billion, from its prior forecast of $36 billion to $37.7 billion. The Aurora, Ont.-based company also raised its total production sales forecast to $30.8 billion to $32.1 billion, from $30.4 billion to $31.7 billion. Magna International is headquartered near Toronto. It ranks No. 3 on the Automotive News list of the top 100 global suppliers, with worldwide automotive parts sales of $32.13 billion in 2015. Automotive News staff and Reuters contributed to this report.